When thinking about fireplaces, many people think of the comfort and warmth they bring to a family and the room. Others mainly consider the visual impact that a fireplace and mantel can have on a room. While the practical and aesthetic impact of a fireplace can be important, there are safety considerations to be taken into account, as well. When you have a fireplace, the surrounding area can be a place for your family to congregate around a warm fire, or it can be a place to showcase important photos and decorations. While using your fireplace, use any recommended safety equipment in order to prevent burning embers from entering the room. Keeping the inside of your fireplace clean can help to prevent any fires or excess smoke from coming back into your home. It is important to keep the flue and the chimney free of soot buildup, as part of the safety of your home. Therefore, you may wish to hire a professional to keep these components clean. The hearth is the area inside of the fireplace that extends out into the room onto the floor, often at the sides and on the top of the fireplace. The hearth can protect your walls and floors from thrown embers that might still be burning, as they may pose a fire hazard. There are regulations in the State of California regarding the specific measurements of the hearth that must be followed for optimal safety considerations. If you have more questions about safety and fireplace regulations, or if you would like more information, turn to our professionals at SoCal Fireplace Mantels. 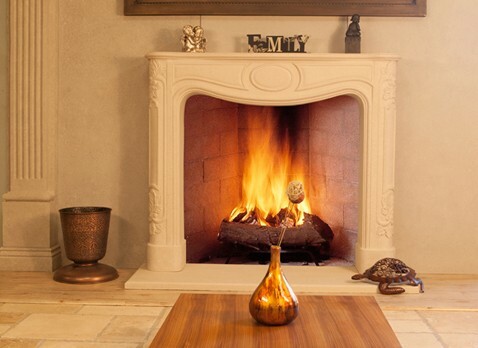 SoCal Fireplace is a leading provider of fireplace mantels in Los Angeles.